Western Cape Minister for Community Safety Leonard Ramatlakane says it is the responsibility of all to ensure that Table Mountain stays as a tourist attraction, remains an icon and a source of providing employment to local South Africans. The Minister attended a stake holders meeting, which he convened to address concerns over reports of tourist muggings and attacks on the mountain. “This meeting unanimously agrees that there’s no crisis on Table Mountain. We have agreed that there will be an integrated approach that we will take in addressing the security concerns on Table Mountain,” says Ramatlakane. The meeting was attended by the South African Police Service, representatives of the Table Mountain National Parks, the South African National Parks management and volunteer community organisation on Table Mountain. “I am encouraged that all of us in this meeting agree that there’s no crisis on Table Mountain,” says Ramatlakane. He adds that they all agreed that the police will continue to take control of the joint command centre in policing the Mountain and that they will also be directing all operational plans on policing the mountain. South African National Editors Forum (SANEF) says it accepts Mr Justice Mahomed Jajbhay’s ruling, in the public interest defence against the Sunday Times at the Johannesburg High Court. The judge has ordered that copies of the Minister’s medical records be returned to the Cape Town Medi-Clinic immediately and SANEF believes that this was to be expected. “SANEF believes that the judgment contains an important ruling upholding press freedom. “He made two important rulings, one is that public interest is an important factor, in the contact of the nation and that public figures such as ministers and public officials have to be subject to scrutiny by the media and that news about their conduct can be published,” says SANEF’s Media Freedom Sub-Committee Chairperson Raymond Louw. The documents reflected on the alleged conduct of the Health Minister while she was in hospital and on her alleged drinking before and after undergoing a liver transport. The South African Bureau of Standards (SABS) has send out warnings to consumers not to buy Ampax electrical adapters as they can cause fatal electrical shock and fires. He says during the tests it was found that a continues use of the adapters might cause fires, electrical shock and damage household goods which will ultimately put people’s lives at risk. "Further test results found that pin plugs are deformed, raising questions of the strength of the moulding material," he said. Subsequent to this, the SABS issued a Legal Directive to Ampax Electrical to keep their stock on their premises until further notice,” says Moeletsi. He adds that the company then violated the order and went ahead to sell the product. Therefore the products entered the market illegally. However, Head of Management of Ampax Electrical, Frank Jew says sales of the product only happened because of a misunderstanding between himself and his sales department. “When the SABS came back the second time they ask why the products were being sold. But we have no intention of hurting anybody out there, no intention of causing any fires it was merely a misunderstanding,” says Jew. He says those that do have the products are welcome to return it and they will be refunded. “We have no intention of even starting a fight with the SABS, although we do feel their testing was a bit unfair to the product,” says Jew. 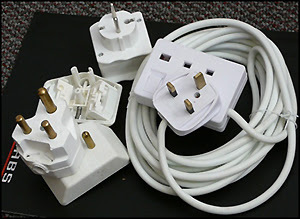 The SABS says they have taken the necessary legal steps against the supplier and consumers who are in possession of the adapters should return them to where they were bought or report it to consumer bodies. # The South African National Council on Alcoholism and Drug Dependence (SANCA) can help if you have alcohol and drug related problems. Every Tuesday between 9am and 1pm, social worker, Mr D Carelse is available at Stable House Child Welfare, 37 Ryston Road, Hanover Park to give advice. Call 021 638 5116 or 021 692 1414 for details. If you have any information for the CIN team regarding events happening in your community, please feel free to contact us on 021 4485450 or fax us on 021 448 5451. 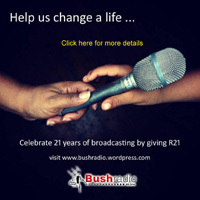 Alternatively you can email us to news@bushradio.co.za. The National Union of Mineworkers (NUM) finally added its signature to a wage agreement with the Chamber of Mine’s Coal negotiators, on Thursday. “The agreement entitles the lowest paid workers, to a double digit 10% increase, “ says NUM General Secretary, Frans Baleni. The Union is extremely happy about the offer and they hope that it will bring the much-needed relief to their hard working, lesser-paid members. “It has been a tough round with disputes that could have led to strike action, but we are happy we didn’t have to go that way to resolve matters, “ says Baleni. There has been significant moves in this year’s negotiations round which amongst others includes, medical aid and living out allowances. Members of the police attached to the Organised Crime Unit arrested five men for dealing in drugs with a street value of R16 000 at a house in Flamingo Road, West Lake. “During a sting operation conducted at the house, drugs worth thousands of rands were confiscated,” says police spokesperson Captain Elliot Siyangana. The suspects, aged between 21 and 42 years, are from West Lake and Wynberg. They are expected to appear in the Wynberg Magistrate’s court on Monday. The Democratic Alliance (DA) says the admission given by the African National Congress (ANC) of President Thabo Mbeki’s prior knowledge of the Minister of Health, Manto Tshabalala-Msimang’s criminal conviction before he appointed her, speaks volumes about his judgement. “This raises concern about the moral values of the ANC, and makes it crystal clear that in making government appointments, your talent and integrity are completely irrelevant and the only thing that matters is who your friends are,” says DA spokesperson Mike Waters. Waters says the former Deputy Health Minister, Nozizwe Madlala-Routledge was fired for committing no crime, but that Tshabalala-Msimang continues in her office despite her criminal history. “While there are no formal requirements for membership of the cabinet, other than those that apply to all MP’s, one would expect that honesty and integrity would be key requirements for a job of such responsibility,” says Waters. The ANC could not be reached for comment. The City of Cape Town has made significant progress in processing the 35 000 objections to the 2006 General Valuation Roll. 9500 objections have been resolved. “The process whereby objections are resolved is rather lengthy because the integrity of the outcome is paramount, “says Valuation Director, Chris Gavor. They have contracted five external companies to assist the municipality in dealing with objections. “The process entails each of the objectors being visited by a municipal-appointed valuer, “says Gavor. After the property has been inspected and the valuer has arrived at the decision, the findings are presented to the Municipal Valuer for inspection and sign off. It is then sent to the Revenue Department for updating. “We appeal to property owners to keep appointment times as scheduled, “says Gavor. The body of a man was found floating in the Black River on Thursday morning. “On arrival police noticed the body floating in the river and immediately organised all relevant experts to attend the scene and the body was taken out by Metro Emergency services,” says police spokesperson Captain Elliot Siyangana. He says the man is believed to be in his fifties and was dressed in a blue pants, blue shirt, brown diamond jersey and a pair of takkies. “At this stage we cannot tell what the cause of the death was but the deceased’s body has bruises on the forehead,” says Siyangana. The police are appealing to anyone who has a male next of kin in his fifties, who has failed to return home or anyone with information to contact Detective Constable Benson Ngqentsu on 021 689 1304 or Crime Stop on 08600 10111. The National Union of Metalworkers of South Africa (NUMSA), on Wednesday at its financial conference, launched a campaign against defaulting employers and service- providers who fail to pay provident fund contributions, union membership fees and other levies to the bargaining council. “The steel and engineering sector and some motor and retail companies’ weekly payments of the provident funds subscriptions, funeral benefits and legislated bargaining council levies is seeping away, “ says NUMSA national spokesperson, Mziwakhe Hlangani. He adds that this is due to delinquent companies who draw interests from non-payments of these monies after deducting them from employers’ wages. “Some of these companies have defaulted payments after deducting them from workers’ weekly wages, since 1998, “ says Hlangani. The aim of the conference is to sketch out plans to retrieve more than R40 million from the employers and labour brokers, who failed to pay these monies to the bargaining councils. “The financial conference heralds the government’s social security reform programme which is intended to provide national pension saving schemes for millions of workers,” says Hlangani. Yesterday Green Point stadium received the thumbs up by the Department of Labour after its first comprehensive safety inspection of the construction site. The construction of Green Point Stadium is going ahead in full swing after a labour dispute that lasted for two days. “We are very pleased with the outcome of the inspection. It vindicates our confidence in the contractor. We have always regarded work safety on site as very important. Safe operating procedures are ingrained in site operations to make this project a success,” says Service Delivery Integration Director, Mike Marsden. The Democratic Alliance is delighted that the National Treasury has called for more research to be done on the proposed compensation fund for victims of violent crimes. “In the way that the criminal justice system is currently structured, we see that the allocation and expenditure of vast resources for the criminal instead of spending something on the victims of these crimes,” says spokesperson for the DA Marike Groenewald. They are calling on people to support the proposed idea of a compensation fund for victims of crime and hope that the proposal will be thoroughly and objectively explored. “By calling for a compensation fund the DA is not asking that less money be spent on the criminal justice system bur in fact that system also focuses on the needs of the victims,” adds Groenewald. The National Professional Teachers’ Organisation of South Africa (NAPTOSA) says that while they do understand the frustrations regarding the National Recovery Plan, they still believe that any stay away by learners at this stage will simply worsen the problem. “NAPTOSA’s National Executive Committee has already expressed serious concerns about the desperate ways in which the Recovery Plans are being implemented,” says President of NAPTOSA, Dave Balt. He says teachers are as frustrated as the learners and any further stay-away will simply make things worse. “What is needed now is a huge and concentrated effort, by all concerned to get education back on track, and make up for all the time lost because of the industrial action,” says Balt. He added that NAPTOSA has given a commitment that each teacher will make certain that each child in his or her care will have reached the required levels and outcomes by the end of the year. The National Credit Regulator (NCR) has been running a campaign on section 73 to educate consumers, about this specific section and the amnesty that the National Credit Act is offering. These regulations stipulate the information that must be removed from Credit Bureau information held by credit bureaus of consumers. “This means for those consumers that qualify for the amnesty, they will have certain information expunged from their credit records,” says media officer of the NCR Bongiwe Gambu. Consumers have until the 1 September this year to pay their judgements and get their names cleared from the credit bureaux records. 4.5 Million of the condoms supplied by Zalatex – the company that has been charged with bribing an official from the South African Bureau of Standard (SABS), to approve condoms, which does not conform to the quality standards has been recalled. The condoms were quarantined Tuesday afternoon and the number of condoms collected has increased from 3.6 million, which had been collected by Monday. “The members of the public who may require more information or those who are concerned that they may have used the condoms that are being recalled are encouraged to contact the AIDS Helpline for more information, education and counselling,” says Department of Health spokesperson, Sibani Mngadi. She says as a precautionary measure to maximize the safety of the public, the Department of Health is recalling all condoms supplied by Zalatex and produced by Latex Surgical Products. “The condoms can be identified by a lot number: 4308/ZLX, the lot number is printed on the back of every condom above the expiry date,” says Mngadi. She added that they would like to appeal to partners involved in the distribution of condoms and members of the public to assist in identifying the condoms and to return them to their nearest health facility. For more information, education and counselling, call the AIDS Helpline on 0800 012 322. The entire building site at Green Point Stadium came to a halt on Tuesday, as all the workers went on strike due to the alleged exploitation of workers by the site management. “The strike had been un-procedural and had been underway for the last two days, but the demands are absolutely legitimate in terms of the ethics and values of the new South Africa, “says COSATU spokesperson, Tony Ehrenreich. The COSATU, NUM, BICAWU interventions had secured the return to work by employees in order to comply with the legalities that were not covered by the wildcat strike. “The legalities will now be complied with and should the companies not comply with the legitimate demands of workers, by Thursday, a legal strike will lead to the closure of the stadium on Friday, “says Ehrenreich. COSATU has called on the government and the company management at Murray and Roberts and WHBO, to urgently negotiate a resolution with the unions on the site. “The shutting down of the plant represents a victory for the workers who will ensure that the beneficiaries of the 2010 include workers and the working class, “says Ehrenreich. Murray and Roberts was not available for comment. Huge mystery surrounds what is believed to be the excavating of the world’s biggest diamond in the North West on Monday. The diamond which is a 7000-carat light green stone the size of a soccer ball was found in an unknown diamond mine in the North West. After the discovery the diamond was transported under strict surveillance by a hired security company to a Johannesburg vault to be examined by experts. If the diamond is regarded as legitimate it could fetch a price tag of R218 million rand. A Cape Town City councillor, David Sassman lost a High Court bid, to keep his Independent Democrats seat just before floor crossing fever heats up in the city. Sassman was expelled from the ID for secretly negotiating with other political parties. “The ID is pursued in a pace to fill the vacancy left by David Sassman’s expulsion yesterday, which the High Court upheld,” says spokesperson for the ID Lance Greyling. Cape Town Mayor and Democratic Alliance leader Helen Zille is scheduled to meet ID leader Patricial De Lille this afternoon, to discuss the floor crossing, which starts this Saturday, as they are becoming fearful that their power within the city will fall. “All parties are vulnerable during the floor crossing period,” adds Greyling. Olive branches will be kept close as from Saturday when things in the Western Cape will definitely be heating up. Two men were fatally wounded Tuesday morning, during a shooting incident that occurred at a house in Moses Kotyana Street in Makhaya, Khayelitsha. “It is alleged that three unknown armed men, posed as police officials, wearing blue uniforms, they then kicked the front door open, entered the house and shot the two deceased in their separate bedrooms,” says Police spokesperson, Superintendent Billy Jones. Jones says both men sustained bullet wounds to their chests and heads and died on the scene. A woman was also inside the house at the time of the incident, she was not physically harmed. “The two suspects took two cellular phones before they fled the scene in an unknown vehicle and are still at large. The motive for the incident cannot be confirmed, but we are investigating all possibilities,” says Joes. According to information obtained by the police, the two deceased are from the Southern Cape and arrived in Cape Town late Monday night on a business related visit. One of the deceased is alleged to be a taxi driver. Anyone with information can contact Crime Stop on 08600 10111. Traffic along the Main Road between Claremont and Cape Town is expected to be disrupted on Tuesday, due to protest action by the Peninsula Taxi Association. The association is objecting to UCT's Jammie Shuttle Service, which is a free service to students of the university. Peninsula Taxi Association spokesperson Galied Behardien says, Jammie Shuttles is operating illegally along the Main Road, by transporting students between Claremont and Rondebosch. "The operating permit held by Jammie Shuttles limits it to working this route between 6PM and 12AM only, and because they are operating outside their stipulated time it is impacting the Peninsula Taxi Association negatively," says Behardien. According to Behardien the authorities needs to be more consistent and implement the law where it has been obstructed. The protest is expected to last until 2pm. The South African Municipal Workers Union (SAMWU), has called off its planned strike in Cape Town on Tuesday, following a Labour Court ruling on Monday that the action would be unlawful. National Union of Metalworkers of South Africa (NUMSA) has noted that the disruptive municipal workers’ strike, came about as a result of the inflexibilty displayed by the Mayor of Cape Town and Democratic Alliance leader Helen Zille, in refusing to honour the union’s national collective bargaining agreement. "There is no way we are going to be participating in any sort of illegal gathering, but we will continue to support SAMWU in all its endeavours.” says National Union of Metalworkers of South Africa spokesperson, Mziwakhe Hlangani. SAMWU claims that they are unhappy because of the staff restructuring process, and has demanded the City negotiate in good faith, and that it reverses all restructuring that has taken place. The City of Cape Town responded by saying that they can’t reverse this procedure as it has gone too far. An 81- year- old man from Crawford has gone missing. He was last seen at his home at 49 Tanner Road, Crawford on Saturday afternoon, at approximately 14hoo. He was last seen wearing a blue jersey, tracksuit pants and white tackies. Harry Fortune suffers from Alzheimers. He is most likely to be confused and disorientated. His family is frantic with worry. A missing person’s docket has been opened at the Athlone Police station. Surfer Raasig Ruiters from Delft, who went missing on Saturday morning at the Big Bay, Bloubergstrand area, was discovered at the Somerset Hospital late yesterday afternoon. “Raasig went surfing on Saturday morning and did not return home, his brother only laid a missing persons report on Saturday night to police and one again on Sunday night,” says NSRI spokesperson, Craig Lambinon. A search was launched for the 19-year-old by the National Sea Rescue Institute and the South African Police Service after his older brother Sean, reported suspicions of his brother being missing after he failed to return home to the house in Bloubergstrand, which the two brothers were renovating. “The details were extremely sketchy which caused us to believe that he may be missing at sea. We were told that he was last seen surfing at the Big Bay, Bloubergstrand area, and after we had launched the search yesterday it was determined that the individual is indeed in Somerset Hospital,” says Lambinon. He says Ruiters was transported to the hospital by private ambulance on Saturday morning after he got into difficulty. “He was rescued by lifeguards and transported to hospital. The hospital has confirmed he was admitted and was not critical but his whereabouts now are still to be determined,” says Lambibon. Lambinon added that it is still to be determined why the authorities or the family were not notified of the events that took place on Saturday morning concerning Raasig. As a precautionary measure to ensure maximum safety of the public, the Department of Health is recalling all condoms supplied by Latex Surgical Products (LSP) for the government condom distribution programme. “The Department of Health has already quarantined close to 3,6 million condoms produced by the company, “ says Health Minister’s spokesperson, Sibani Mngadi. These condoms are currently stored at various warehouses in the country. “The Department urges the members of the public, and all partners involved in the condom distribution programme to return the condoms produced by the company to their nearest condom outlet,” says Mngadi. It is alleged that Zalatex bribed an official of the South African Bureau of Standards to approve condoms that did not conform to quality standards. “Zalatex is one of the seven companies, which have been awarded the tender to produce male condoms for government,” says Mngadi. Condoms that need to be returned can be identified by lot number, 4308/ZLX. The lot number is printed at the back of every condom, above the expiry date. The Congress of South African Trade Unions, COSATU, is extremely angry and disappointed at the cancellation of the temporary agreement, to allow the SABC to broadcast the Premier Soccer League matches. “Soccer is the national game, particularly among the poorer sections of the population,“ says COSATU National Spokesperson, Patrick Craven. Craven explains that it’s mainly people who are to poor to afford a television, who depend on the radio to get the news of their favourite sport. “We believe ways must be found between the PSL and the SABC to sort this out and to get the coverage back onto the public broadcaster,” says Craven. During a briefing meeting hosted by the MEC’s for Community Safey, Leonard Ramatlakane and for Finance and Economic Development Lynne Brown, it was revealed that close to four million local foreign and local tourists are visiting Table Mountain and other tourist attractions per year. The Provincial Government of the Western Cape says they find these reports extremely encouraging. “I am pleased with the security plan that the South African Police and the Table Mountain national park security have rolled,” says Ramatlakane. According to reports at the meeting said, 18 incidents of muggings have been reported on Table Mountain since January 2007 until August 2007. “I am pleased with the report from the police and Community Safety, that they have a wonderful plan and from a tourist perspective there is no reason to panic,” says Brown. The two ministers agreed on a follow up stakeholders meeting on Thursday September 6, to further evaluate the security arrangements on Table Mountain. “We call and advise those who will be visiting and climbing the mountain to walk in groups, avoid walking alone or climbing in areas which will move you away from the sight of other people,” says Ramatlakane. At the Quality in Education conference which was held in Athlone over the weekend, many issues, including the improvement of service to pupils was raised. Western Cape Education MEC Cameron Dugmore addressed teachers, principals, provincial education officials and other stakeholders in education. Dugmore elaborated that although many strides have been taken to improve education, much work still needs to be done to ensure quality in the system. “I am not convinced that we are there yet. We have to understand what weaknesses there are, and address them,” says Dugmore. He added that further improvement in services would only be achieved once there were enough teachers in the system who was implementing the curriculum properly. MEC for Local Government and Housing Richard Dyanti’s department will rectify poorly built houses around the Cape Flats. The rectification of houses is a national housing programme that seeks to rectify defects in respect of municipal services and top structural defects. This programme is aimed at houses that were delivered from 15 March 1994 to 31 March 2002. This programme excludes houses that were delivered before 15 March 1994, those that were delivered after 31 March 2002 and the increase of the size of a subsidized unit. Included in the programme for rectification are 2473 houses that were built by the Cape Town Community Housing Company (CTCHC) in 2000, in nine different villages. These include the areas of Heideveld, Pylon, Railay, Newfields, Luyoville, Phillipi ,Woodridge, Mannenberg, and central Mitchell's Plain. The Democratic Alliance says President Thabo Mbeki, has made himself guilty of hypocrisy by pursuing every last cent he can extract from the former deputy minister of health, Nozizwe Madlala-Routledge, while the minister of health escapes unscathed. “The minister of Health has spent exorbitant amounts of public money on helicopters to travel around the Eastern Cape visiting hospitals with her nine MEC’s, which seem to be misleadingly patched up the day before she arrives,” says DA spokesperson Mike Waters. Waters says this can be described as an abuse of state resources, as the minister ordered the hire of four twin-engine helicopters for her tour. “Three of the helicopters were flown in from Johannesburg and one from Cape Town. All at a cost of R17 000 an hour, for 26 hours of flying time per helicopter, the grand total seems to be a staggering at R442 000,” says Water. He added that the DA finds it extremely hypocritical that the Minister made a public announcement that there are limited amounts of funds available for the maintenance of Frere Hospital in the Eastern Cape. "We also find it hypocritical of President Mbeki, who is now demanding that the former deputy health minister pay back money of trips she took as far back as 2001." The president should be a lot more consistent with his application of the law,” says Water. The DA will be asking parliamentary questions regarding all of these issues. COSATU is urging workers to refuse to buy products, which are not fully compliant with the rules laid down by the South African Bureau of Standards. “This is not aimed exclusively at Chinese imports, but all potentially dangerous or unhealthy products regardless of their origin," says COSATU Spokesperson, Patrick Craven. He explains that consumers have a right to demand the highest standards of protection, and the proposed action should encourage manufacturers and retailers to maintain and improve the safety of products on sale in South Africa. “It happens that China appears to be the main source of these dangerous and unhealthy products, “says Craven. These products include forms of toothpaste, fertilisers and toys that contain excessive levels of lead. “ We want to make sure that the importation of these goods are stopped. We’ve also been concerned about the volumes of imports from China, “ says Craven. Eskom women "dare to care"
In commemoration of Woman’s Month, women employees of Eskom will be visiting the Bathandwa Childrens Home in Khayelitsha, as part of their “Dare to Care” project. Employees made a donation to the home that will improve the lives of the children living there. “Eskom western region is commemorating women’s month differently this year. We are encouraging our women employees, within the organisation, to give rather than to receive,” says spokesperson for Eskom, Marcelle Adams. Marcelle adds that Eskom has focused on a number of organisations; from Upington, to George and surrounding areas. "We want to play a visible role and that’s why we are calling our project 'Dare to Care'," says Adams. She explains that they are assisting individuals in need, in a meaningful and positive way, through the unconditional sincerity the women employees. The body of a 10-year-old boy was recovered from a canal near Site 5 informal settlement at Doornbach near Table View on Sunday. “The five boys all aged ten and eleven years old, went swimming on Saturday afternoon at about 3pm. One of the boys disappeared under the water according to the other four boys,” says police spokesperson Inspector Billy Jones. He says the other four boys were not injured and reported the matter to police and a search for the boy was immediately launched. The body was found on Sunday morning at 11:30. No foul play is suspected and police have opened an inquest case docket. Professor Hennie Kotze of Stellenbosch University’s Centre for International and Comparative Politics will publish the findings of the 2007 Values Survey at a conference in Pretoria on Monday. “The annual Values Survey is an international initiative in which South Africa has taken part for the past 25 years,” says Solidarity spokesperson, Jaco Kleynhans. Among the results to be announced at Monday’s conference is the strong confidence of South Africans in the country’s economy and its electoral system. "On the other hand, South Africans show little confidence in the country’s ability to provide in the basic needs of its citizens," says Kleynhans. The survey shows that South Africans put their families, their jobs and their faith above politics, friends and relaxation. The conference will be presented by Konrad Adenauer Stiftung and Solidarity. The World Values Survey is the “largest cross-national investigation of social change that has ever existed”. The South African Police Service (SAPS) began restructuring in 2005, yet the Democratic Alliance says that significant numbers of station commissioners have not yet been fully trained. “The SAPS gave public assurances that those station commissioners removed from office would be replaced by high quality personnel, “ says DA Spokesperson on Safety and Security, Dianne Kohler Barnard. The DA says that according to a document released to the Portfolio Committee on Safety and Security last week, large numbers of station commissioners across the country remain untrained. “There are six station commissioner training modules available that cover topics such as community service, crime prevention, crime detection, communication , management and operational commanders training, “ says Kohler Barnard. The DA will be submitting parliamentary questions to the Minister to gain further clarity on this unacceptable state of affairs. On Saturday learners from various secondary schools in Cape Town, were given an opportunity to make recommendations on sustainable development and Environmental issues at the City of Cape Town Youth Conference on Sustainable Development. “It’s quite amazing listening to the comments from the learners and all the presentations that we heard. I must say the youth are very clued up on sustainable development,” says Environmental Education Co-ordinator, Lindie Buirski. The issue regarding recycling and reuse of waste was a very dominant topic that came up on numerous occasions. Climate change was another issue that was raised. “It’s an eye opener to listen to the youth and realise that they are really well informed and that we have to start listening to our youth and start acting on their kind of remarks and what they’re saying to us,” says Buiriski. On Friday afternoon NSRI commanders as well as the Metro Red Cross AMS Helicopter respondent, were called out near to Gansbaai, following a Rubber-duck that had capsized about a half a mile off shore with nine people reportedly in the water. “On the helicopters arrival on scene, all the people involved were found washed up on the shore, including their Rubber-duck," says Sea Rescue Media Spokesperson, Craig Lambinon. One of the members, a 35 year-old man from Napier, was declared dead on scene by paramedics. “The remaining eight people were found in satisfactory condition, requiring no medical assistance," says Lambinon. The South African Municipal Workers Union (SAMWU) will be embarking on a strike on Tuesday, 28 August 2007. “They have received permission to hold a march that will run from 12hoo to 14h30, through the Central Business District, “ says the City’s Director of Communications, Pieter Cronje. The City advises people to use alternative routes, and to plan accordingly. “At the same time we would like to say that we respect SAMWU’s right to strike, but our first duty is service delivery to the residents," says Cronje. The City has taken every measure to ensure that service delivery will continue. “We ask people to put out their refuse bins on the same collection days and if it’s not collected on that day, to put it out on the next day, “ says Cronje. Workers in the Central Services such as Health, Water, Electricity, Sanitation and Emergency Services are not allowed to strike. Amidst much media reports about the fraud case of a South African Bureau of Standards (SABS) official who granted the SABS stamp of approval to condoms that did not conform to SABS standards. “The good news is that this supplier does not supply condoms to the Western Cape Province and therefore there is no need for people to worry about the quality of ‘Choice’ branded free condoms in Cape Town and its Province,” says the City’s Executive Director for Health, Dr Ivan Toms. The City health says they distributed almost 56 million condoms in the last financial year; this amounted to 50 condoms per adult male per year. “Cape Town is proud to be the leading district throughout South Africa to effectively have distributed such a high number of condoms,” says Toms. The National Council of Provinces will from 26 to 30 August visit the Limpopo and Northern Cape to follow up on issues during its programme, Taking Parliament to the People in 2005 and 2006. “Many promises were made to the communities out there during the first visit, so the purpose of this revisit is to check whether the council fulfilled the promises,” says Limpopo legislature spokesperson, Kenny Mathivha. “The community will be given an opportunity to ask questions,” says Mathivha. The four-day programme will involve visits to various sites such as schools, health centres, and farms, meetings with provincial leaders and public meetings. # The Western Province Blood Transfusion Service is still experiencing pressure on its blood supplies due to colds and flu that have kept many regular donors from donating this winter. Anyone older than 17 years, weighing more than 50kg and who leads safe and healthy lifestyles can donate blood. For more information contact the Western Province Blood Transfusion Service on 021 507 6300. # Reach for Recovery breast cancer support group will meet on Thursday August 30, at 10am at the Cancer Association of South Africa’s information centre at 37A Main road, Mowbray. Professor Greave from Tygerberg Hospital will talk on a new technique in breast cancer surgery. For details call 021 689 5347. If you have any information for the CIN team regarding events happening in your community, please feel free to contact us on 021 4485450 or fax us on 021 448 5451. Alternatively you can email us on news@bushradio.co.za. Early this morning, members of the Milnerton police received a call about an alleged suicide threat at a house in Epping Street, Milnerton. “On the arrival, police officials heard a gunshot come from inside the house, they then found the bodies of the three family members on the bed in the main bedroom with single gunshot wounds to their heads,” says police spokesperson, Superintendent Billy Jones. Jones says that it is alleged the 44-year-old man shot his 48-year-old wife and their 11-year-old daughter last night. “It appears that they were shot while inside the lounge then afterwards put on the bed in the main bedroom. He then turned the firearm on himself this morning when police arrived at the premises,” says Jones. He added that the motive for the incident is still unknown and particulars of the deceased will be released at a later stage. The National Sea Rescue Institute and two Air Force helicopters responded 24 maritime miles offshore of Fish River on Thursday, following the report of a sunken boat. “On arrival of the scene it was confirmed that the Octopus had taken seven survivors on board that they had rescued from life-rafts,’ says NSRI spokesperson Craig Lambinon. A further three crew members, including the ship’s Captain were rescued by one of the helicopters after an NSRI rescue swimmer was deployed into the water to secure them. “Following a brief search the eleventh crewman was found floating in the water in his lifejacket and an NSRI rescue swimmer was deployed to recover him, says Lambinon. He was confirmed to be deceased on the scene. The South African Municipal Workers Union says it will definitely fight the City of Cape Town’s attempt to interdict its strike scheduled for next week. “The union thoroughly objects to the City of Cape Town wasting tax payer’s money on a frivolous strike interdict that we believe the court will not grant,” says SAMWU’s Cape Town Branch Secretary, Stanley Yisaka. He says they only decided on striking as a last resort following the failed negotiations with the City. “The negotiations only failed because the City was not prepared to negotiate with its workers, they only choose to dictate and pass on orders,” says Yisaka. Although the City has persistently said they know that essential workers are not allowed to strike, the union says according to the labour law, unions are permitted to strike if disputes of mutual interest are not resolved. “They choose to rather use their time and resources in putting out propaganda instead of explaining why they choose to close down service depots in black townships,” says Yisaka. He added that the union will go ahead with the strike. The City of Cape Town has applied for an interdict against the planned strike by the South African Municipal Workers Union. “The City of Cape Town is approaching the labour court, on Monday for a ruling on which of the issues that the labour union SAMWU is raising they may strike on, if any,” says Spokesperson for the City of Cape Town Pieter Cronjé. He says that they will also ask the court to confirm that municipal workers in essential like, electricity, water, health and emergency services may not strike. “We have opted for this route to get clarity as in our view many of the issues raised by SAMWU are matter that should be resolved by arbitration not by strike action,” says Cronjé. SAMWU says they intend to fight the interdict as they have a constitutional right strike. “We don’t like the way the city is going by doing things,” says SAMWU media officer, Anna Majavu. She added that they won’t allow the city management to bully them into a corner. The City of Cape Town has successfully completed the extension of the Delft Sewer System at a cost of R222 million. “The sewer really became a requirement when the city engages in the N2 gateway projects,” says City of Cape Town spokesperson Anic Smit. “We started a year and a half ago with the physical construction and now are completed and ready to accept the flows from the near developments in the area,” says Smit. The 15.5 km pipeline extension will service the 20 000 houses of the N2 Gateway at Delft, linking its sewage system to the municipality’s wastewater treatment works at Zandvliet. Councellor Lionel Roelf, Mayoral Committee Member for Utility Services will host the site tour on Thursday. Solidarity and its members at Telkom, are not very happy with the way Telkom has implemented the salary agreement that was reached last year. “This year’s increase was supposed to be implemented in April. But some of our members received a lesser increase than what they were supposed to, “ says Solidarity spokesperson, Jaco Kleynhans. Because of this, Solidarity has decided on a process whereby they would formally declare a dispute resolution, to try and resolve the crisis. This will be done through a legal process. “Telkom has been given until Tuesday, August 28, to rectify the matter before Solidarity takes further action,” says Kleynhans. The African National Congress says it condemns the evictions they believe occurred in Blue Downs. The party claims the evictions which affected at least twenty families in the area, has apparently been conducted at the request of Councillor Wilma Brady who was assisted by two members of the Cape Town City Police. “According to eyewitnesses the evictions were done without prior notice nor with legal eviction orders,” says ANC Media spokesperson, Garth Strachan. He says the evictions were done with the destruction of wendy houses on some of the plots. Provincial Secretary for the ANC, Mcebisi Skwatsha says the evictions cannot be justified, especially as it was done without proper eviction notices. “The ANC calls for a full investigation of the matter. The public has a right to know what is going on with the activities of Wilma Brady and the housing processes in Blue Downs,” says Skwatsha. Although the ANC insist their allegations are truthful, Dan Plato from Mayoral Committee Member for Housing, Dan Plato says the ANC is spreading a completely false message to the public. “The allegations made by the ANC are not true, at all and I find it hard to believe that anything of the sort ever occurred,” says Plato. He added that he spoke to Brady about the alleged evictions, which she has denied and says it never took place. “Wilma Brady said she never did anything of the sort as she is familiar with the procedures which need to take place when an eviction is done,” says Plato. Plato says an eviction of the sort with the involvement of Brady, who does not have the authority to do it, would be a contradiction to the laws of the country. Chapman’s Peak drive has been closed irregularly since July 2007 but has now come to an indefinite close due to repeated rainfall and unstable conditions of the mountain slopes. “The increased risk caused by these conditions resulted in the closing of the road and required remedial measures to stabilise the slopes,” says General Manager of Entilini Operations, Wendy Jutzen. Engineers have already started to action the remedial measures which include barring down loose stones in the slip zones by means of drape mesh and rock bolts. Jutzen adds that there is a well-defined set of minimum safety requirements that must be adhered to before re-opening the road. The Company apologises for the inconvenience of the road closure. “We are doing everything possible to remedy this situation in the shortest possible time,” says Jutzen. The South African Municipal Workers’ Union Cape Metro branch, together with communities affected by poor service delivery in the city, will be striking on Tuesday, 28 August 2007. "The strike is basically in response to the unilateral restructuring of the city, which will have a negative impact on workers conditions of service," says SAMWU Western Cape Provincial Secretary, Andre Adams. Adams adds that the strike also relates to the National Bargaining Council of the city. The unilateral restructuring will also have an impact on service delivery. "The Union is embarking on action against this unilateral restructuring, and we are also busy mobilising communities to come out in support of the union in this matter," says Adams. The Cape Metro branch consists of just over 10 000 members. The strike will start from Kaisersgracht and end at the Civic Centre in Cape Town. Monday afternoon three of the suspects of the robbery estimated at R2 million that occurred at a jewellery store at the Victoria and Alfred Waterfront Saturday night were arrested. “The three suspects were arrested in Thembani, Khayelitsha. Two of the suspects are aged 18 and the other is 19-years-old, they are from the Khayelitsha area,” says police spokesperson Inspector Bernadine Steyn. Steyn says the six suspects took Tanzanite rings, earrings ad pendants, they then fled on foot to a nearby taxi rank. “When they arrives at the taxi rank, a white Nissan Sentra was parked there, waiting for them, says Steyn. She added that it is believed that another suspect was waiting in the Sentra for the men to arrive. “The word Shimansky is engraved in most of the rings and the main stone in all the jewellery is the blue Tanzanite,” says Steyn. “None of the jewellery has been recovered yet,” says Steyn. The men are to appear in the Cape Town Magistrate’s court today. Four of the suspects are still at large and anyone with information can contact Captain Roy Jackson at the Table Bay Harbour Police Station on 021 403 1001 or 021 403 1007. The registration of the white Nissan Sentra is CY 196 222. The Company’s Garden, known as the ‘Green Heart’ of the City of Cape Town, will be upgraded this year to the tune of over R1 million. “All the upgrades will be done in line with approved development and design guidelines which have been formulated over the past few years,” says the Mayoral Committee Member for Amenities and Sport, Grant Haskin. Haskin says the restoration at the garden will include the renewal of the old farm labourer’s quarters which was used in the 1950’s as the Botanical Gardens Committee’s meeting venue which will be turned into a café, coffee shop or kiosk. “During the previous financial year, expenditure was focused on improved security,” says Haskin. He added that the projects will include the installation of bollard lighting throughout the gardens to improve visibility for the newly installed security cameras. “We will increase security guards as well as the appointment of a social worker to deal with homeless people in the vicinity,” says Haskin. A BBC film crew will be filming the Garden as part of a series on historical gardens of the world. The Company’s Garden is the oldest public garden in South Africa and is a retreat in the central business district in Cape Town for an estimated 700 000 visitors each year. Western Cape Education MEC Cameron Dugmore has lauded the creation of a manual on Learners Behaviour Management, an initiative of its Northern Education Management and Development Centre. “We are still looking at ways of how we can use it as a resource tool for the schools in the province,” says provincial education spokesperson Gert Witbooi. Witbooi adds that because corporal punishment was ruled out in 1995, many teachers felt that their ability to discipline learners was lessened. The manual was presented at a cocktail function attended by senior officials from the department’s head office and other district offices, as well as principals and teachers. A 35-year-old woman believed to have hired a hit man to assassinate the wife of a man she allegedly has a relationship with was arrested Monday night in Goodwood. “Through our internal structures, police managed to intercept the information and already launched an investigation on Friday on the circumstances surrounding the obtained information,” says police spokesperson constable Siphokazi Mawisa. She added that a legal authorised operation commenced after there was interaction between an agent who posed as a hit man with the suspect. “The suspect was immediately arrested last night after she made a cash payment as a deposit for the alleged intended hit,” says Mawisa. The suspect is due to appear in the Goodwood Magistrate’s court on Thursday. A 23 year-old suspect has been arrested in connection with the fatal shooting of a taxi driver that took place on Monday, on the corner of Queen Victoria and Wale Street in Cape Town. “A follow-up investigation indicates that three men approached the taxi driver on foot yesterday (Monday) afternoon,” says Police spokesperson, Inspector Bernadine Steyn. It is alleged that the three men attempted to rob the driver who was alone in the vehicle, during which a struggle occurred. “Several shots were fired at the driver, wounding him twice on the left side of his body. The victim died on the scene,” says Steyn. Two of the three suspects are still at large. Anyone with information can contact Captain Lional Cornellissen at the Cape Town Central Police station on 021 467 8000. The NSRI in Plettenberg Bay were activated on Monday following a drowing in progress report at Keurbooms Beach in front of Dunes Caravan Park. Bernd Nemach, 45 and his two sons, Adrian, 13 and Bjorn 10 who are on holiday from Germany went for a swim when they came into difficulty in the strong rip currents. “Our deputy station commander arrived first on scene, he found three people being swept out to sea by strong rip currents. He swam out and managed to secure the two young boys along with the help of another two local Pletternberg Bay residents,” says NSRI spokesperson Craig Lambinon. Lambinon adds that the father of the two boys managed to get to shore unassisted where all of them were treated for shock and mild hypothermia. The NSRI are appealing to bathers to be cautious all along the coastline as strong rip-currents prevail. The Congress of South African Trade Unions is outraged that the Department of Labour inspector, was threatened to death when he closed down a construction site due to a violation of the Health and Safety laws. “It highlights the acute problem we have, particularly in the construction industry, of very poor standards of health and safety,” says COSATU National Spokesperson, Patrick Craven. Craven explains that it’s essential that inspectors be given the right to examine all sites and to take action against anyone not complying with the laws, especially as we are approaching 2010. “There are huge construction projects in 2010 with very tight deadlines. And employers may be tempted to take short cuts with safety," says Craven. He adds that they insist that employers do not take these short-cuts; they should rather implement even stricter rules regarding safety. “Just as we too want to meet our targets, it should not be at the expense of workers lives,” says Craven. 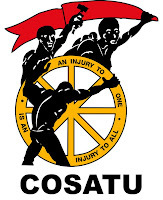 COSATU insists that the health and safety law should be fully implemented and when a site is closed down workers should receive full pay. “Workers should not pay the price for their employers’ law breaking and lack of concern for their safety,” says Craven. Tourism month, observed annually in September, this year launched at the Nelson Mandela Museum in Qunu outside Mthatha in the Eastern Cape. “The province was honoured to be hosting this year’s Tourism Month festivities,” says MEC for economic development in the Eastern Cape Mbulelo Sogoni. “We will help showcase the array of sights in our beautiful province. This province is home to many of the jewels in South Africa’s tourism crown,” adds Sogoni. Tourism has been identified by the Accelerated Shared Growth Initiative of South Africa as one of three economic growth sectors to sustain investment and make possible development en route to the National Treasure target of 6% growth. Tourism Month is the initiative of the United Nations Development Programme, aimed at shining a spotlight on tourism and its economic benefits. With the recent spate of questions regarding the safety on Table Mountain, the MEC of the Western Cape Department of Finance and Tourism, Lynne Brown says she plans to meet with officials to look at possible safety solutions. “We plan to meet with South African National Parks and the Department of Community Safety. We also want to get in touch with the mountain Club of South Africa to hear their concerns and suggestions,” says Brown. Brown says she is concerned that one of the tourism icons is under such threat, not only for Cape Town tourist but also locals. “As we head into tourist season, the warm weather also encourages Capetonians to explore the natural beauty of their city,” says Brown. She added that those who do decide to visit the mountain, whether local or foreign, should be able to do so unharmed. Ten Cape Town communities will march from Kaisersgracht to the Civic Centre in Cape Town on Tuesday, over the City’s Housing Company’s broken promises. This comes after the Cape Town Community Housing Company (funded by the National Housing Finance Corporation) built 2188 houses in areas such as Newfields Village, Hanover Park, Luyoloville, Philippi, Heideveld, Woodridge, Eastridge and Manenberg. “However upon occupation of their new homes, beneficiaries discovered that they had moved into houses with major defects,” says Chairperson of Community Representative Council, Gary Hartzenberg. Hartzenberg adds that after several attempts by the communities to rectify the situation, they have decided to go ahead with mass protest action. R36 million was provided by the minister to repair these houses. “The Company failed to fix any of the residents’ houses living in these communities and they will not be accepting any payment solution proposal,” says Hartzenberg. A memorandum will be handed over for the scrapping of all of their arrears, it will also highlight their demands. The tyre and rubber industry strike of four weeks, by 6000 members of the National Union of Metalworkers of South Africa (NUMSA) has reached a historical conclusion. NUMSA says over the next two days, thousands of striking workers at six plants from Goodyear, Continental, and Firestone in Port Elizabeth and Dunlop factory in Durban, Ladysmith and Bridgestone in the North West, which decided to down tools in July, will be returning to work. “We agreed on a three year term, where the offer would be increased to 8% for this year. Then for the second and third year 7, 5%,” says NUMSA national spokesperson Mziwakhe Hlangani. Goodyear tyre manufacturer, based in Port Elizabeth, also agreed to take in about 100 contract workers into its permanent staff, out of the 250 employees hired under labour brokers. “We think this is an historical agreement given the vulnerability of the sector due to the dumping of foreign tyres by Asian companies,” says Hlangani. He added that the union would like to see Labour Brokers in the industry be scrapped. A 14 year-old boy drowned at Monwabisi beach on the False Bay Coast on Sunday afternoon. “On arrival on the scene a body was found floating 30 meters off shore, face down in the water,” says NSRI Spokesperson, Craig Lambinon. Lambinon explains that a Metro Paramedic waded into the water to recover the body. This comes after the boy allegedly went swimming beyond the tidal pool where he encountered some difficulty. “When the body was brought to shore CPR was initiated, but after all efforts to resuscitate the boy were exhausted, he was declared dead on scene,” says Lambinon. The boy is from Khayelitsha and he had been on the beach with his brother and two friends. A police constable was arrested in connection with defeating the ends of justice at a house in Heideveld on Friday evening. “The 23 year old, who was stationed at Manenberg Police station, allegedly gave official 16 rounds of ammunition to a man who was sought by police in several cases,” says Police spokesperson Inspector Bernadine Steyn. Steyn adds that the other suspect, a 24-year-old, who allegedly received the ammunition from the Constable, was arrested on Thursday at a house in Ocean View. The suspect faces charges of murder, attempted murder and armed robbery. The South African Communist Party has taken the allegations that money donated to the party had been stolen very seriously. The party allegedly received a cash donation of R500 000 from Charles Modise which they insist they have no knowledge of. “I have never received the alleged R500 000 from any person as has been reported,” says SACP Secretary General, Blade Nzimande. He says the allegations made against the party is part of a smear campaign. “It is primarily directed at discrediting the image and reputation of the SACP and also to tarnish my image and integrity,” says Nzimande. Nzimande added that he sees the reports about the theft as laughable and ridiculous as there are no records to back up the claims made. “How come a complaint is laid against me, by a person who never gave the money? Someone I have never met in my life,” says Nzimande. The allegations made against Nzimande and the SACP are still being investigated. The 32-year-old man who was arrested for the murder of Ntomboloxo Mtongana in Gugulethu on Friday night is appearing in the Athlone Magistrate’s Court today. “The body of Mtongana was found by police in an in NY8,” says police spokesperson Inspector Bernadine Steyn. Steyn added that the deceased was found near the front door with two open wounds to the neck and on to the chest. “The motive for the incident is still not known,” says Steyn. Anyone with information should call Crime Stop on 08600 10 111. From the 7th of August the Transport Department in the Western Cape and the Department of Public Works together with the City of Cape Town dedicated the bus and mini bus taxi lane on the N2 to be used only by public transport modes, specifically busses and mini-bus taxi's. “Compliance with regulations governing the operations of the N2 BMT lane has been good enough for public transport vehicles that they have achieved a considerable travel time,” says the Western Cape Transport MEC Marius Fransman. Fransman says busses travelling in this lane now travel 15 minutes less per trip and the bus company operating the city-bound trips is now able to do 31 extra trips Taxis from Gugulethu to Cape Town are now travelling 30 to 40 minutes less, Fransman's department says. “We have about twenty traffic officers who are patrolling between 05:30 and 09:00 in the mornings and good compliance has been observed,” adds Fransman. “Despite our major achievement there are still some challenges that need to be addressed. We still have a sizeable number of motorists who are breaking the law by driving on the BMT lane,” says Fransman. A robbery estimated at R2 million occurred at a jewellery store at the Victoria and Alfred Waterfront on Saturday night. “Four unknown men entered the shop posing as customers. One of the men allegedly took out a hammer and broke the glass counter while two more suspects entered the shop,” says police spokesperson Inspector Bernadine Steyn. Steyn says the six suspects took Tanzanite rings, earrings ad pendants and then fled on foot to a nearby taxi rank. “When they arrived at the taxi rank, a white Nissan Sentra was parked there, waiting for them, says Steyn. The seven suspects are still at large and anyone with information can contact Captain Roy Jackson at the Table Bay Harbour Police Station on 021 403 1001 or 021 403 1007. The registration number of the white Nissan Sentra is CY 196 222. The National Sea Rescue Institute were fortunate recipients of a R50 000 donation from Aberdare Cables. “At a function held at the NSRI Port Elizabeth rescue base we were extremely thankful to receive the donation by Mr. Dave Arnold, Group Human Capital Manager of Aberdare Cables,” says NSRI Regional Director of the Eastern Cape, Clive Shamley. Aberdare Cables is a national power cable manufacturer that has distributed electrical power in South Africa for over 60 years. “The company has long been NSRI supporters, says Shamley. “We view the NSRI as a beneficiary organisation worthy of support, as it provides a service to the broad based community in the terms of its education drive,” says Arnold. He added that he trusts the donation will be put to good use in upgrading and renewing the much needed resources and equipment for the Eastern Cape NSRI. “We are not just supportive of the Eastern Cape NSRI, but also sea rescue nationally,” says Arnold. Two men were arrested in relation to the illegal trade of wine on a farm in Paarl yesterday. “During a joint operation between the South African Police Service, the South African Revenue Service and the Department of Agriculture, the men aged 35 and 38 were successfully arrested during a meticulous investigation,” says police spokesperson Inspector Bernadine Steyn. She says during the raid, police confiscated wine worth millions of rands and chemicals for the manufacturing of these wines. “Two firearms were also seized as well as 24 rounds. It is believed that the wines were distributed to shebeens in various townships,” says Steyn. The two men were expected to appear in the Paarl Magistrate’s court soon. A 35-year-old fisherman escaped a near death experience when he was rescued off his fishing vessel after being suspected of having a heart attack. “Two SA Air Force 22 Squadron Oryx helicopters accompanied by the National Sea Rescue Institute’s Air Sea Rescue Team and two Netcare 911 paramedics lifted off from the Air Force Base Ysterplaat to airlift the Peruvian man,” says NSRI media spokesman Craig Lambinon. The Vessel called for medical assistance through the Madrid Maritime Rescue Coordination Centre reporting the fisherman to be suffering symptoms determined to be those of a Myocardial Infarction. Myocardial Infarction is the term used when part of the blood supply to the heart is cut off causing a heart attack. “The fisherman felt a pain across his chest, while fishing in the deep seas off Namibia and beyond the range of a medical evacuation,” says Lambinon. Lambinon added that a Netcare 911 ambulance has been tasked to receive the fisherman on their return to Air Force Base Ysterplaat. “They are expected to arrive here at latest 11h15 am today,” says Lambinon. Police made an arrest on Friday morning at the Victoria and Alfred Waterfront during a sting operation for the alleged selling of unpolished diamonds. The two suspects aged 29 and 30, both Angolans, showed stones to a man which looked similar to diamonds in a restaurant at the Waterfront. “Police who were observing the alleged sale, moved in and confiscated the 13 stones,” says police spokesperson, Inspector Bernadine Steyn. Steyn added that police are in the process of establishing whether it was diamonds, as well as its value. “Both suspects are expected to appear in the Cape Town Magistrate’s court on Monday,” says Steyn. The Western Cape Education Department launched a 12-point plan on Friday committing itself to ensure that all teachers are competent and well prepared. “With the service delivery charter we are giving a commitment to the public that we are going to increase the quality of our service delivery and the learning and teaching,” says Gert Witbooi, spokesperson for the MEC of Education. The service standards, in three categories, apply to the department as a whole. The standards cover Teaching and Learning Assessment and Support; Management and Governance and Learning Site Environment. “We want to make sure that materials are of a high quality and arrive on time. In terms of administration and governance, we need to ensure that our managers are properly equipped and can lead,” says Witbooi. Witbooi added that they are going to increase their efforts in guaranteeing safe and conducive learning environments. Another taxi driver has been fatally wounded by an unknown gunman during the early hours of Friday morning at Nomase Street Bloekombos, Kraaifontein. “It is alleged that four gunshots were heard during the shooting incident. says police spokesperson Captain Elliot Sinyangana. Sinyangana adds that the driver sustained a bullet wound to the head and the suspect fled the scene on foot. “Details of the deceased are still yet unknown as Police are in the process of reaching the deceased’s family members,” says Sinyangana. Police are appealing to any one with information to contact Detective Inspector Reginald Mtshali of Organised Crime Unit at 021 950 1400 or the Crime stop no. 08600 10111. A number of suspended Metro Police officers have increased from 87 to 95 members after their unlawful industrial action of Wednesday morning. “We are still busy with all the investigation of the event and we have suspended 95 members,” says head of communications in the City of Cape Town Pieter Cronje. “Obvious there is a lot of investigation that must be done to make sure that we have all the facts,” adds Cronje. Cronje says the City doesn’t want to drag its feet into the process and they believe that this must be dealt speedy. “We will follow the due process and make sure of our facts,” says Cronje. The vast majority of Cape Town residents have been paying their municipal accounts on time since the introduction of the new rates and tariffs from July 2007. “We would like to thank the residents for making this possible,” says Chief financial officer Mike Richardson. Richardson says the step taken by residents ensures that the money is available for service delivery and for investing in much needed new infrastructure and the upgrading of existing infrastructures. “Generally speaking residents have heeded our massage not to view their rates bill in isolation but to compare only the total municipal account, adds Richardson. Households with a total monthly income of R1 740 or less per month can apply for the Senior Citizen Rates Rebate as well as R30 indigent grant irrespective of whether they meet the age. Police arrested four Chinese nationals aged between 23 and 38 for dealing with the drug tik at a Chinese restaurant in Blaauberg road, Tableview on Thursday. “Police seized 2, 5 kilograms of tik to the street value of R700 000. The drug has been sealed and sent to the laboratory for forensic investigation,” says Police spokesperson Captain Elliot Sinyangana. The alleged suspects will face charges of dealing with tik and are due to appear in the Cape Town Magistrate’s court on Monday, 20 August. The National Department of Education is the overall winner of this year’s, Annual Public Sector Reporting Awards. “The award recognises departments that have consistently provided information in their annual year,” says the National Education spokesperson, Lunga Ngqengelele. Ngqengele says that this simply means that, the Education Department will have a financial year report that could be easily understood and factual. “The Minister of Education is quiet happy with the award. She expressed the hope that this would also translate into quality education that we are providing for learners throughout the country,” adds Ngqengelele. The awards were introduced six years ago by the Southern African Institute of Government Auditors, to recognise the pursuit of excellence in the annual reports published by all provincial and national departments. the increase in the interest rate. “We believe it’s a very bad decision. It will mean a higher cost of living,” says COSATU National Spokesperson, Patrick Craven. Craven explains that it will particularly affect the poor, who are already suffering from the rise in food prices. “Now they (the poor) will have to pay extra on their bonds and any loans that they are repaying,“ says Craven. He adds that even more seriously, it will set back the struggle to create jobs. He explains that higher interest rates makes it more difficult to raise capital to start a new business. “We believe that the Reserve Bank is failing to identify the main challenges which South Africa faces, which is unemployment and poverty, not inflation,” says Craven. He adds that every policy should be judged on how well it contributes to reducing poverty and unemployment. He says that COSATU believes that this increase will do the exact opposite. “We urgently call upon the Governor to reverse this decision, to bring the interest rate down, so that the economy can start growing faster,” says Craven.